"3 years after our IPO, as promised to our shareholders, Technogym continues to grow in a sustainable and profitable way. In 2018 our net profit was up by over 50% and we are proud to propose to the Shareholders Meeting a dividend doubled compared to last year. Technogym's 2018 consolidated revenue grew in the most important geographic areas. To be highlighted the solid growth in Europe, our most consolidated market and the double digit growth performances in Asia (China +26%, Japan +16%) and North America (+19%). Innovation remains the engine of the Technogym growth. Thanks to our exclusive "Wellness on the go" strategy, we are the only player able to offer consumers their personal training program anytime and anywhere, though our unique digital ecosystem, that includes smart equipment, digital apps, services and contents, today installed in 15 thousand fitness centres in the world and used by 12 million people. In 2018 we have continued to innovate with the development of engaging training programs, designed to satisfy the end-users different needs and passions: from Cycling, to Running, Bootcamp, Circuit Training and Skillathletic Training Experience, born from our competence in the world of sport performance. This has led us to create and deliver to industry operators – fitness clubs, corporate, hotels – different Technogym Formats dedicated to specific experiences and made of an ecosystem of products and services, training programs, visual merchandising, to evolve the traditional fitness club model into the new CLUB 4.0 concept: "Different experiences for different passions" in a shop-in-shop perspective. 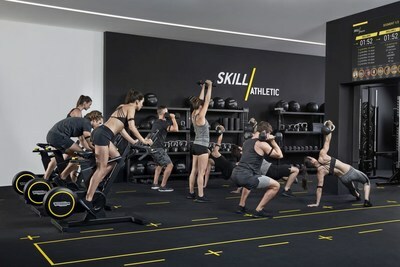 Thanks to our innovative Technogym Live platform, already previewed in London, we will be able to offer consumer, on Technogym's equipment consoles, via streaming, their favorite trainers classes and programs at home, at the gym, in hotel, at work. Year after year we are realizing our vision of being the world leader wellness solution provider, in line with our social mission of helping people living better for the benefit of all stakeholders: Governments, Companies and Citizens. Wellness represents also for Technogym a great development opportunity for a long term sustainable and profitable growth."